The School District of Jefferson's 1,000 seat auditorium, built in 1976 and refurbished in 2010, is home to a multitude of theatrical and musical events throughout the year. The PCA is connected to Jefferson High School, and is located at 700 W. Milwaukee Street, Jefferson. During the school year, visitors will enjoy vocal and instrumental programs put on by the elementary, middle and high school students. 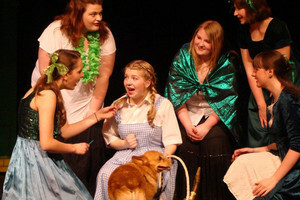 Students' musical and play productions are also enjoyed annually by the community. Additionally, Jefferson's Council for the Performing Arts, provides an annual season of "sure to please" events. Follow the link below to view their events.